Granite City Gearheads » Blog Archive » Floats and Bots! Posted by Nathan Block On May 23, 2017 Comments Off on Floats and Bots! We demoed for Tech last week for their Freshman Open House. Those who attended were impressed by what our robot can do,and that it was made by students. We are also working on a new float for this year's parades! 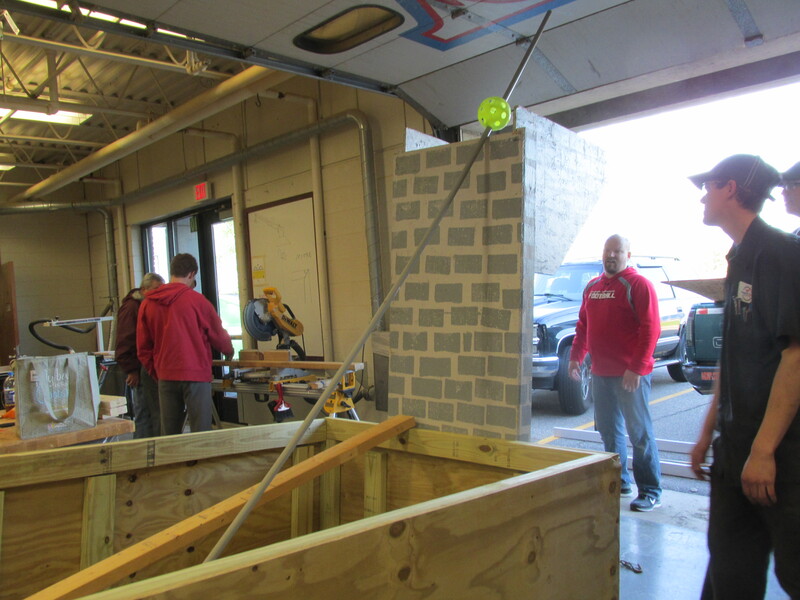 We have a smaller trailer this year , so we are making some changes, including having changeable siding for our float! 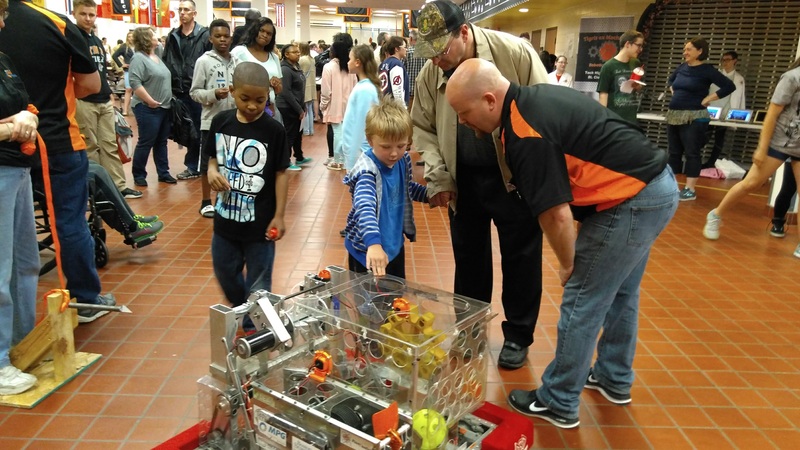 These two younger kids loved the bot, but several Tech students were interested too. Working on assembling the float. It will feature the competition bot, "shooting" balls/fuel into the "boiler".